PHOENIX—Ron Kloth, a third-generation Californian whose family grew oranges and whose father monitored crop yields for the California agriculture department, loved making wine. His indulgent and adventurous parents (his mother, a telephone operator, had emigrated from Canada) let him. “I made wine and they let me drink it because it was undrinkable, it was so super sweet,” said Kloth, now 56 and running a brewery in the Phoenix area. 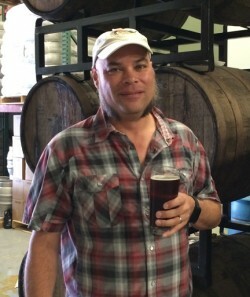 Like other brewers of his generation, Kloth got his start in homebrewing (when he was older, in college), caught the wave of the growing craft beer movement and benefited from the growing sophistication of beer drinkers in Arizona, who, he said, lagged behind the more daring beer drinkers of Oregon, California and Colorado. But, as the Super Bowl comes to the Phoenix area Feb. 1, local brewers find themselves in a familiar underdog role: playing Ewoks to the mighty Anheuser-Busch InBev (AB InBev). AB InBev, the maker of Budweiser and other beers, has been the biggest advertising spender in the past five Super Bowls, (about $149 million between 2009 and 2013, according to Nielsen, which tracks spending). Its brands produce millions of barrels annually, and the Phoenix brewers produce in the tens of thousands. “Every time we proposed some promotion or piece of marketing, we just got shot down” by the Super Bowl Committee because of Anheuser’s top sponsorship, said Kloth, who is the principal owner and founder of Papago Brewing in Scottsdale. It produced (at a contract brewer) about 2,000 barrels in 2014. 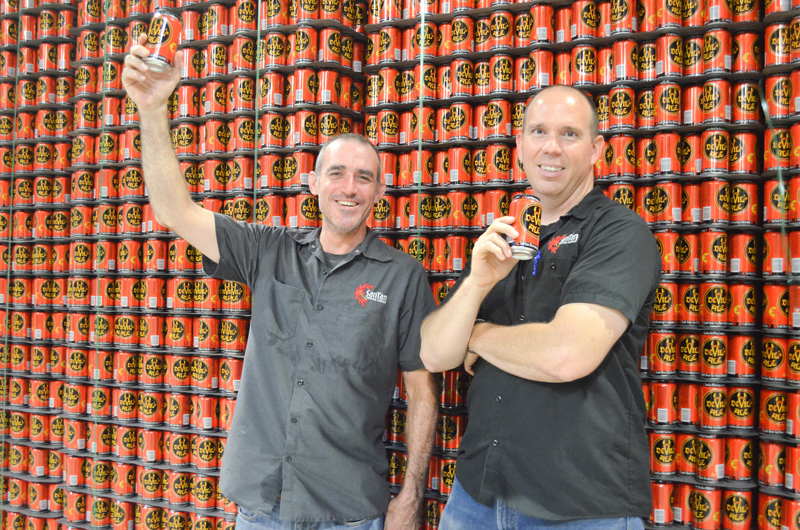 Papago Brewing in Scottsdale, AZ, produced about 2,000 barrels of beer in 2014. Photo courtesy Papago Brewing. “We don’t have a prayer against Bud’s big money,” said Leah Huss, 39, another owner of Papago. Still, craft brewers are staging a few small events around the area, like a $50 beer dinner in Phoenix co-sponsored by SanTan Brewing on Jan. 28. And the Arizona Craft Brewers Guild is showcasing special brews at Angels Trumpet Ale House in Phoenix, starting Tuesday, January 27 at 11 a.m.
Small Arizona brewers have, nonetheless, exploded in numbers over the past 20 years, from roughly half a dozen in the mid-1990s to 64 today. Of these, 60 are members of the Arizona Craft Brewers Guild, and half of those are in the Phoenix area, said Rob Fullmer, executive director of the guild. Four Peaks is the biggest brewer in the state (at 61,000 barrels in 2014). Andy Ingram, 45, went to Arizona State University on a football scholarship and is the head brewer and one of the founders of Four Peaks. He has seen a lot of changes in what was considered a typical beer drinker, mostly for the good and in little ways annoying. He misses the days when drinkers were “a little more Bohemian” and wanted a brewmaster to surprise them. Four Peaks Brewing Co. is the biggest brewer in Arizona (at 61,000 barrels in 2014) and the oldest (established in 1996). Photo courtesy Four Peaks Brewing Co.
By the way, why is Four Peaks’ signature brand “Kilt Lifter,” Scottish-style ale, called that? Years ago, Ingram said, one of his financial backers, a Scotsman, wore a traditional kilt (nothing underneath), as he walked up to the dais. The Phoenix audience, looking up, saw more than they had bargained for. “The name followed,” said Ingram. SanTan Brewing Co. founder Anthony Canecchia with head brewer Gabe Wilson. 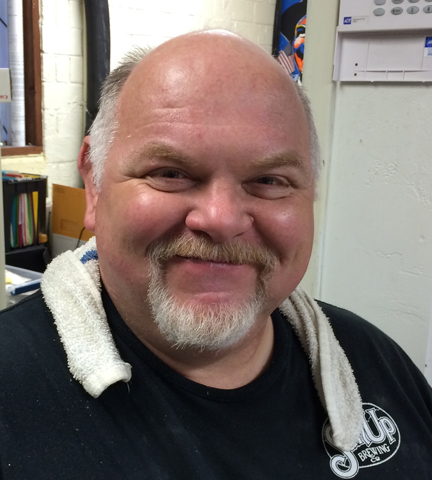 Photo courtesy SanTan Brewing Co.
Anthony Canecchia worked as a brewer at Four Peaks for nearly eight years. He branched off in 2007 because he wanted to make non-English and non-Scottish-style beers. He founded his own brewery, SanTan Brewing Co., which, at 25,000 barrels in 2014, is the second-largest craft brewer in the state. He agrees that the new generation of customers can be demanding but also experimental. “This era is unorthodox and wonderful, pushing the boundaries of what a beer should be and can be,” he said. Canecchia has used coffee, ginger, even grapes in his beers. Uwe Boer of Sun Up Brewing Co.
Uwe Boer (pronounced OO-vuh Boar) is similarly American and experimental in his approach, even though he was born in the German city of Dortmund, one of the biggest beer producers in the world and known for Dortmunder style beer. Now 55, he left Germany while still in his early 20s for San Diego because he loved the “wide open sunny spaces of the Southwest” and fell into homebrewing. In Phoenix now, he works as the brewmaster at small but well-regarded Sun Up Brewing Co., which opened in 2010. It produced about 800 barrels in 2014, but after a recent production expansion, plans to make up to 3,000 barrels in 2015. Americans love to try new things, he said. “We use hibiscus flowers, prickly pears, and cactus fruit, and people love it,” he said. Like other brewers around the country, Phoenix-area brewers are passionate about quality, which, for the most part, means relatively small production batches. Women are the future in Phoenix, said Fullmer, the executive director of the brewers’ guild. He noted that the Arizona Society of Home Brewers, which he used to head, is one of the largest in the country at 500 members. Four of the seven board members are women, including the president, he said. Women are the secret weapon for the craft brew movement nationwide, he said, especially so in Phoenix. But, Fullmer said, Phoenix has another secret weapon that will help in getting more marketing attention for craft beer in the future, despite the marketing dominance of the big beer companies. “We have amazing weather in the winter,” Fullmer said. CORRECTION: An earlier version of this story incorrectly claimed that Four Peaks Brewing Co. is the oldest brewery in Arizona. 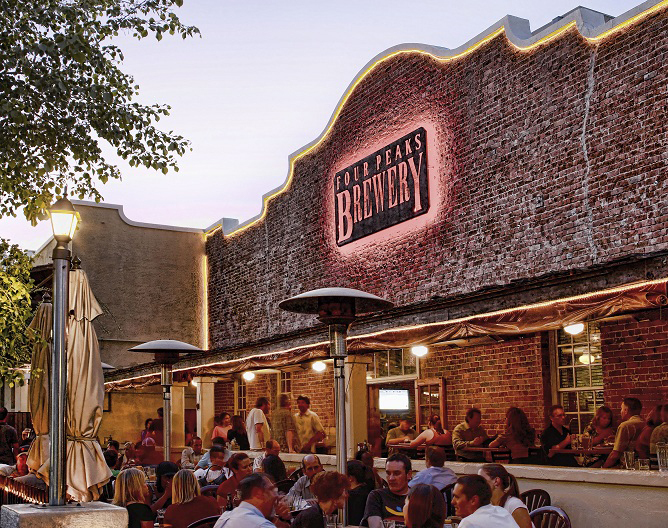 According to Ed Sipos (the author of Brewing Arizona: A Century of Beer in the Grand Canyon State), the oldest brewery in Arizona is Gentle Ben’s Brewing Co. in Tucson. Just another good reason to visit arizona…. No love for other AZ Breweries? Borderlands in Tucson for example….A list would have been nice – show some solidarity. Shawn, The game is in the Phoenix area. Not in Tucson. 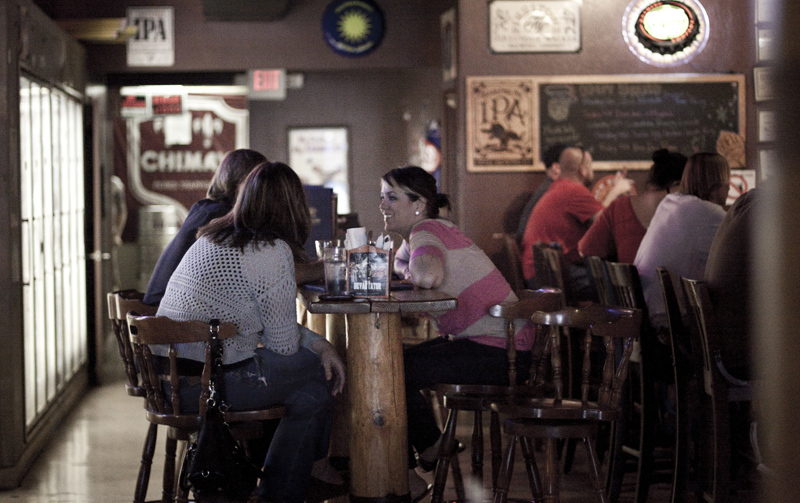 Get over your small town wannabe syndrome. There are a lot more breweries in the Phoenix area that weren’t mentioned either but the ones listed are the ones that are what makes Phoenix a great beer city.